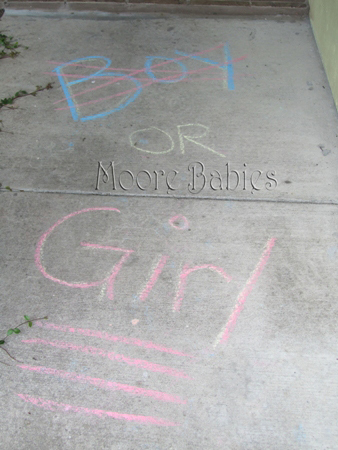 Moore babies: MooreBabies Gender Reveal Party! One of these days I am going to catch up on, well... everything! It's been a busy few weeks, but that's besides the point. 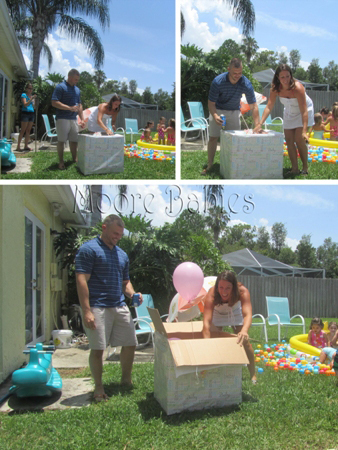 YESTERDAY we had our gender reveal party for #3! For #1, I didn't want to find out, but hubby insisted. For #2, hubby was deployed and finding out just made it easier on me. 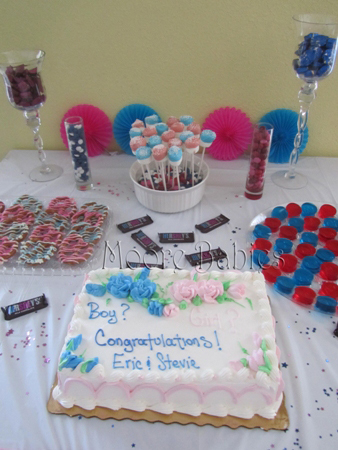 SO for the third, it was MY CHOICE, and I wanted to have a Gender Reveal Party. I had first heard about these parties right after #2 was born and I knew I wanted to have one for our next child! 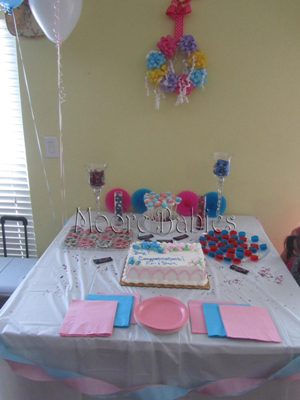 I had known about the cake, where you cut the cake and the cake itself is either pink or blue. 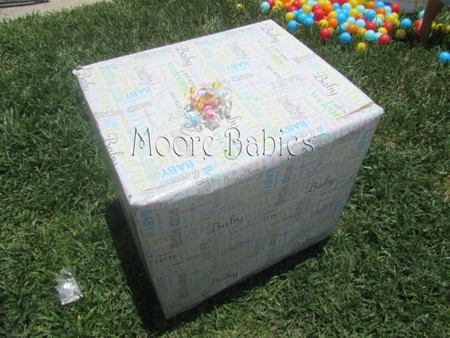 But THEN I came across a pin from pinterest (while not even looking for it) that showed a photo shoot reveal where they had helium balloons in a large cardboard box and opened the box to see what color came out. How fun right?! So I figured those were my two options. 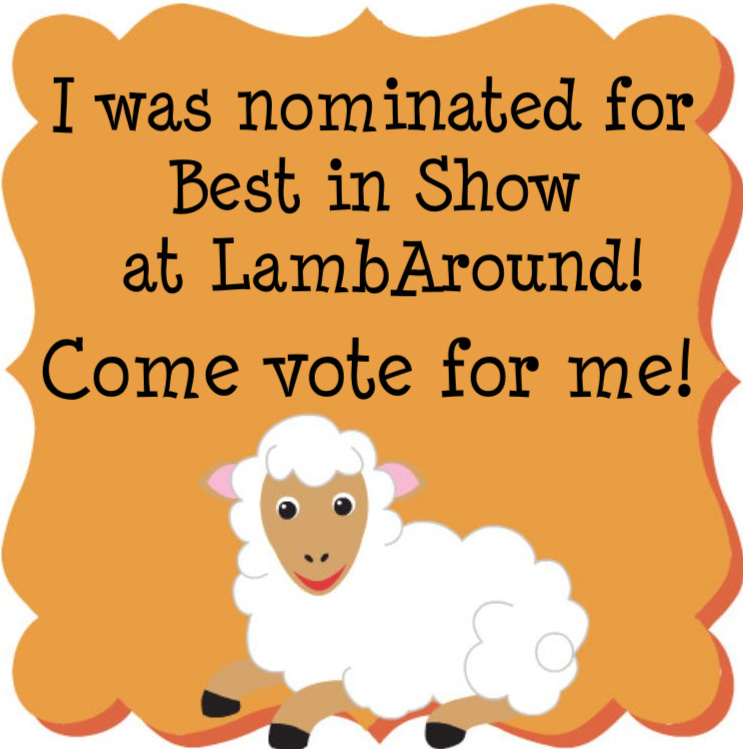 For having wanted to do one of these for a while, I didn't do ANY research until this past Thursday (slacker!) because (a) before vacation I was busy planning a couples bridal shower and (b) we were waiting to see if the ultrasound tech could find out the gender before planning (#2 was uncooperative during the ultrasound). 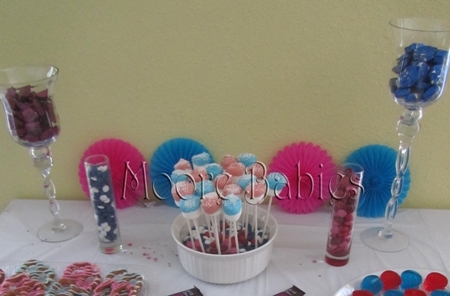 Then of course was the 4th of July, so that took precedence and I took a break from party planning. But I picked up again late Thursday and Friday. Aside from the desserts, I made hamburgers (prepped in advance with green peppers and onions mixed in) and hot dogs; all the guests brought a side, snack, or dessert! He or She candy bars! Leis for guests to "pick sides"
Someone edited my "boy or girl" sign on their way out! Here is what I posted to facebook (after I stopped laughing at the fact that we were having our THIRD girl... poor super outnumbered hubby)! There were 2, but pink I see, now our count of girls is 3! Congrats Stevie!!! That is such a great way to find out the gender! Congratulations!! 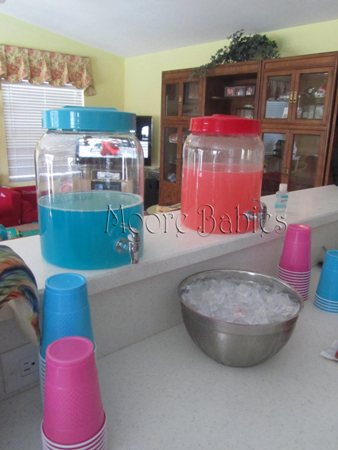 What a great idea for a party - such a fun thing to do! Hope all is going well! 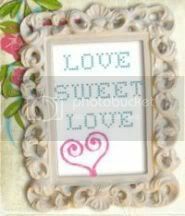 How wonderful!! Congrats girl!! (I seriously can't remember if I've said congrats already!) 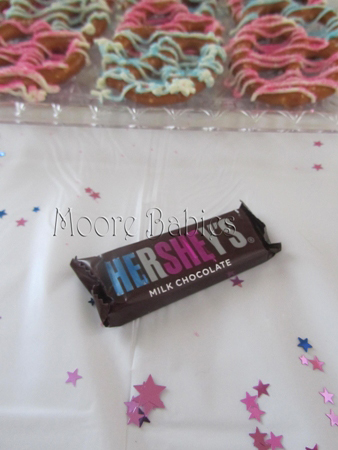 Love your Hershey bar idea!! Pinning that sucker right now! Congratulations!! So much fun how you made the party of it. We always had everyone come dressed in blue or pink depending on what they thought it was. We would then open up our jackets to show the color of our shirts with the statement, "It's a Girl!" I just love the fun of it all. I'm glad you are still having fun wiht it. That is all so cute! You almost make me want to have another baby. I will share this with my pregnant friend though.Just found you from Moitivate Monday. Love for you to stop by and return the follow. I am following GFC. I am hosting Mom's Monday Mingle. YOu are welcome to link up ;) We have over 150 mom blogs so far! Congratulations Stevie!! The party looks like it was amazing and I love all the food ideas you came up with. Thanks so much for leaving a lovely comment on our blog!! 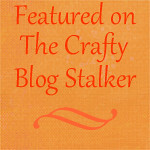 I'm so glad you did as now I have found your fantastic blog...can't wait to catch up on all of your posts!!! So fun! So did you and you already know before the party? or did someone else set up the box for you? I really like this idea and it's definitely something I want to do when we have our next baby. Oh what fun! Congratulations on baby girl #3! Congratulations! Your party looks like fun. 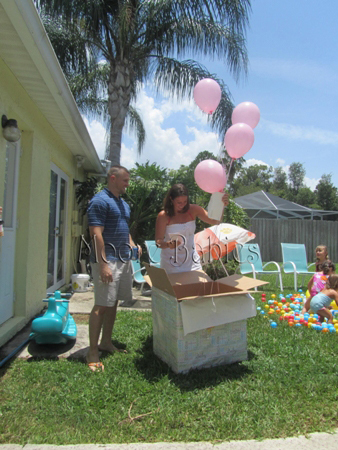 So, did both you and your husband know the gender or did he prepare the balloon box as a surprise for you? This is super adorable! 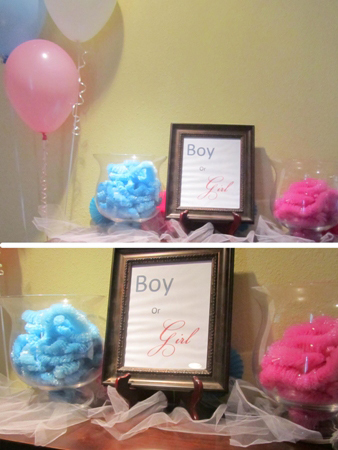 We are doing a gender reveal party as well. And I can't wait!!!!! 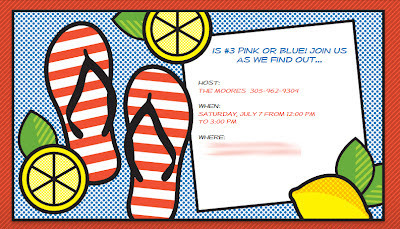 I love the rhyme on your invites. Everything looked so pretty and fun. Congrats on another girl!!!! Thanks for sharing at Snips & Spice Sunday Slice. 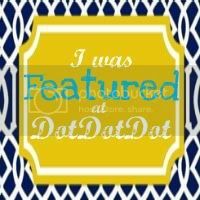 I featured you this week! Congratulations as well. Girls are so fun!